Recently I was asked about what I think about himalayan salt lamps. You may have started seeing these big hunks of pink salt that glow and look quite pretty. Some claim that they have therapeutic properties. Others say it’s a bunch of new age mumbo jumbo. My answer? To some extent. 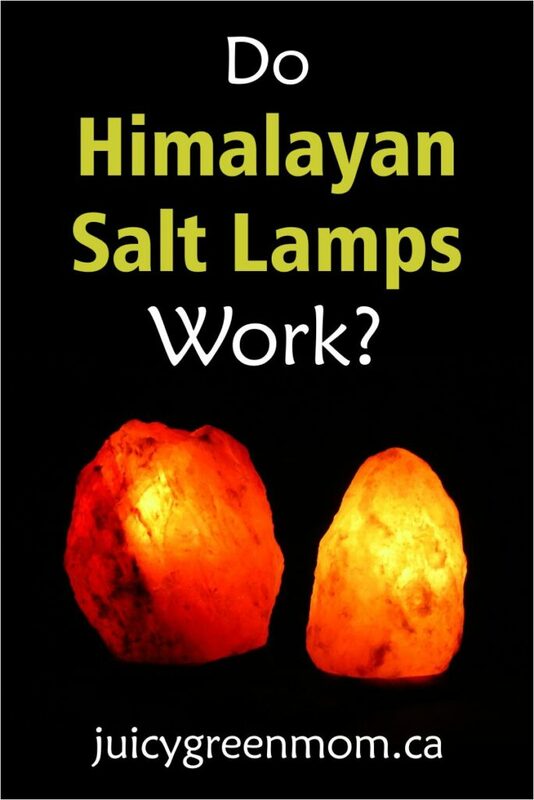 Claim #1: Himalayan salt lamps are negative ion generators. It is said that the heat source inside the lamp causes it to release negative salt ions. It is well-documented in research that negative ions are beneficial to health. The question is whether salt lamps actually emit enough negative ions to make any difference to your health. One test concluded that they emit very low levels, much lower than the negative ions outdoors with a thunderstorm in the distance. The Women of Grace blog states that “even though salt lamps do emit some negative ions, it is not nearly enough to effect any change in the atmosphere – or your health”. Bottom line – they generate some negative ions, but not enough to really improve your health. If you want a negative ion generator, there are other devices that can do that. Claim #2: Himalayan salt lamps help purify the air. The salt in the lamp attracts water molecules from the air – including airborne contaminants carried in water vapor. Supposedly the contaminants are locked into the salt and clean water is re-released into the air, resulting in a purifying effect. While it’s true that contaminants are not re-released into the air by salt lamps, it’s also true that once they are saturated with water molecules, they stop absorbing them. Bottom line – they may help reduce contaminants in the air, but can’t be called actual air purifiers. Claim #3: Himalayan salt lamps neutralize electromagnetic radiation. Electromagnetic radiation is all around us, and though we don’t know the long term health effects of our constant exposure, research is coming to light that it can be harmful to us. Some claim that the negative ions generated by salt lamps can help to counteract electromagnetic radiation. The issue, of course, is the actual output of negative ions from the lamps in comparison to the output of electromagnetic radiation – which likely do not balance out. It’s unlikely that the lamps generate enough to counteract electromagnetic radiation. A shield of sorts would likely be more effective. However, if you happen to have a salt lamp around, having it near your computer or TV certainly isn’t going to be harmful. Bottom line – they may help with combating electromagnetic radiation, but don’t expect them to actually neutralize the effects of radiation. Claim #4: Himalayan salt lamps provide color therapy. The orange pinkish glow emitted from the salt lamps has been touted as powerful color therapy. Unlike the artificial blue light of most artificial lighting and electronic devices, the soft pinkish glow of the salt lamp has been described as helping to relax before going to sleep. It has been said that amber, orange and pinkish colors are ideal for relaxation because they mimic the colors in the sunset. Bottom line – they can be beneficial for supporting healthy rest. I have not yet purchased a Himalayan salt lamp so I can’t share my personal experience yet. However I think it’s certainly something I’d be interested in trying, but without expectations that it’s going to make me healthier. Rather I think they’re beautiful and a lovely source of more natural light. 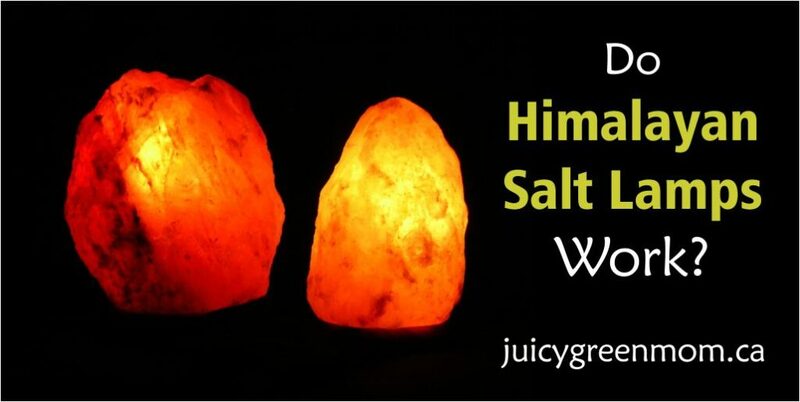 What do you think of Himalayan salt lamps? I’ve been thinking about getting one of these, mainly because of the beautiful glow! They are definitely pleasing to the eye, that’s for sure!